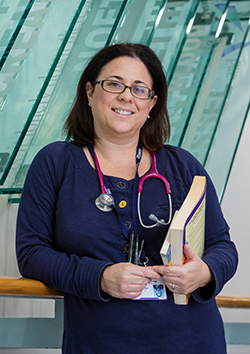 Even in her early days as a nursing student Wendy Mashlan recognised that working with older people was rewarding and challenging. 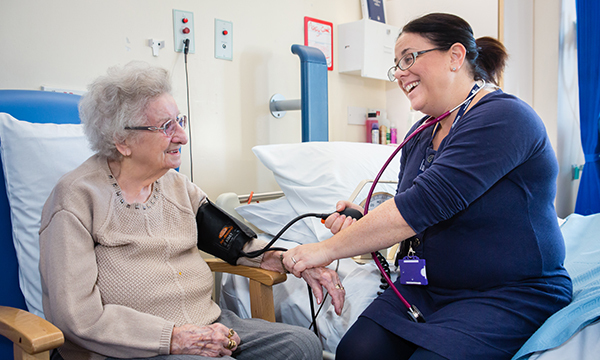 Ms Mashlan, who is lead advanced nurse practitioner (ANP) in care of elderly medicine at Princess of Wales Hospital in Bridgend, Wales, says that many of her peers wanted to move into intensive care, respiratory and cardiac care. After qualifying in 1994 Ms Mashlan worked on an elderly care ward at Bridgend General Hospital as a D grade staff nurse; a couple of years later she moved to an F grade sister post at another community hospital in Wales for patients with complex needs. In 2002 Ms Mashlan moved to the larger general district hospital where she still works. She says: 'There are three wards in the hospital that deal specifically with care of the elderly: the acute frailty ward, shared care, which also covers mental health, and the general care of the elderly ward, which has complex discharge planning. ‘Being in an advanced practice role means that I can provide holistic assessment, diagnostics, treatment plans and comprehensive discharge planning in an autonomous fashion. She explains that a crucial factor in working with older people is to never take things at 'face value’. Ms Mashlan also leads frailty training for staff across departments at her health board. She says: ’It's not just for nurses but for all staff, including doctors, physiotherapists, occupational therapists, pharmacists and ward clerks. People are enthusiastic about the training because they are starting to recognise that we have an ageing population. This group is having an impact right across the hospital and we need to understand them. Ms Mashlan is studying for a PhD exploring the first point of contact a hospital has with an older patient and is also looking at discharge planning for older people with cognitive impairment. She believes that working with community colleagues is essential to achieving safe and effective discharge from hospital and admits there is still a lot of disparity between health boards in Wales in the way older patients are treated. 'Nurses are able to highlight this issue and bring it to the forefront among managers and other staff,’ she says. Jason Cross insists that the needs of older patients across all healthcare settings are similar and suggests that post-surgical complications are more likely to be related to their underlying health issues rather than the surgery itself. Mr Cross is the lead nurse in the proactive care of older people undergoing surgery (POPS) service at Guy's and St Thomas' NHS Foundation Trust in London. When it started in 2003 the POPS service was one of the first of its kind in the UK. Mr Cross says it is now seen as an example of gold-standard care in the management of older, more complex surgical patients. The POPS service cares for older patients undergoing elective and emergency surgery. The team assesses patients preoperatively and treats any medical, functional, psychological and social issues, with the aim of reducing postoperative problems and ensuring a safe and effective discharge from hospital. The POPS team is involved throughout a patient's admission working closely with their surgical multidisciplinary team. 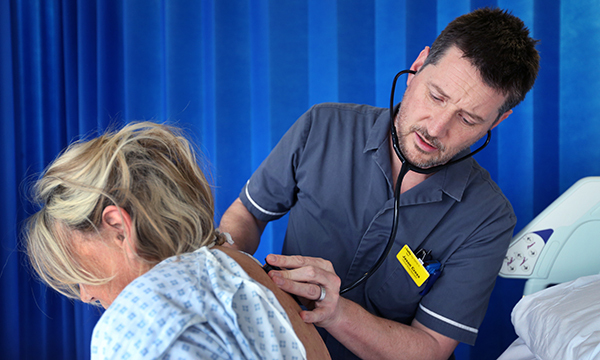 Mr Cross is an advanced nurse practitioner (ANP), a prescriber, and manages a team of six clinical nurse specialists (CNSs) and allied health professionals. 'We provide comprehensive geriatric assessment and liaison for older surgical patients,' he says. 'I have a background in surgery and preoperative assessment. I started with POPS in a newly created CNS role in 2008 and became an ANP a couple of years ago. ‘I always felt I needed to stretch my clinical skills and knowledge and when I looked at some of the work POPS was doing I felt it was my calling to work with the service. As my practice has evolved I have developed a greater understanding of how a holistic assessment, with an individualised perioperative plan, can be an effective way of working to reduce complications, enhance overall health and improve patient satisfaction. ‘My work is split between the outpatient setting and ward, with 80% of my time spent providing direct patient care. I work independently and have my own caseload of preoperative patients, while my ward liaison work involves supporting the multidisciplinary team on the surgical unit. 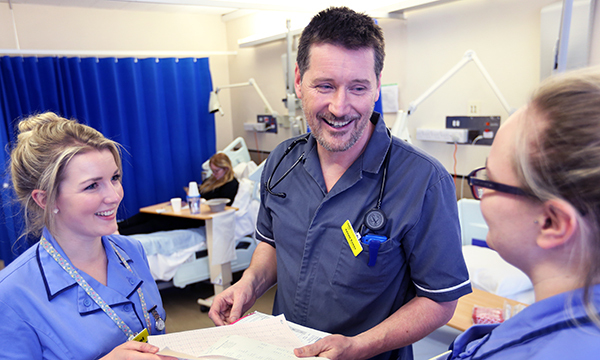 Mr Cross, who has presented the work of the POPS team at national and international conferences, says he has experienced no negative comments from nursing students about working with older patients. But he adds: 'There are certainly other health professionals who still see geriatric care as a Cinderella service but there is a lot of respect for care of the elderly nursing. ‘I always try to explain it as some of the hardest work you will ever do as a nurse. Older people are the most medically complex patients you will get a chance to look after. 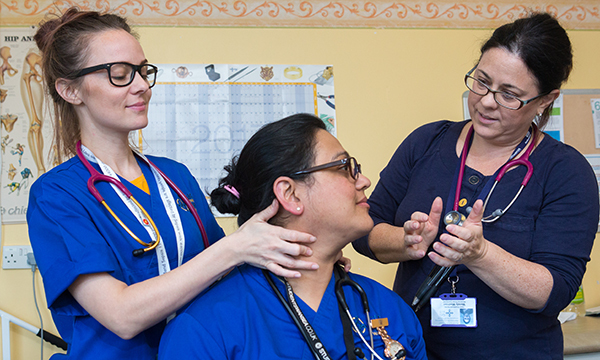 Nurses are already trained to understand the benefits of holistic assessments, similar to comprehensive geriatric assessments, in supporting the patient not only during their hospital stay but also for discharge and care back at home. He says that his team provides advice to similar teams nationally about how to design a service with an emphasis on tailoring it for patient needs. Start with a scoping project. Many do this work in their own time. Your project should look at specific outcomes that save money. A potential quick win is clinical coding. 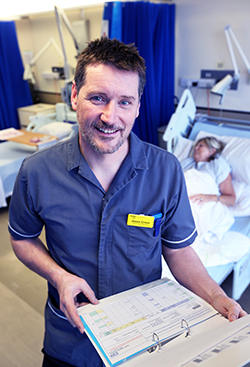 Can you prove that by improving discharge coding you can generate more income for the hospital?